There is just under a week left in our spring offers month for free shipping worldwide and a goody bag in all orders. This ends on 1st May. We have been quiet for the last two weeks so I wanted to put up this article to do two things. 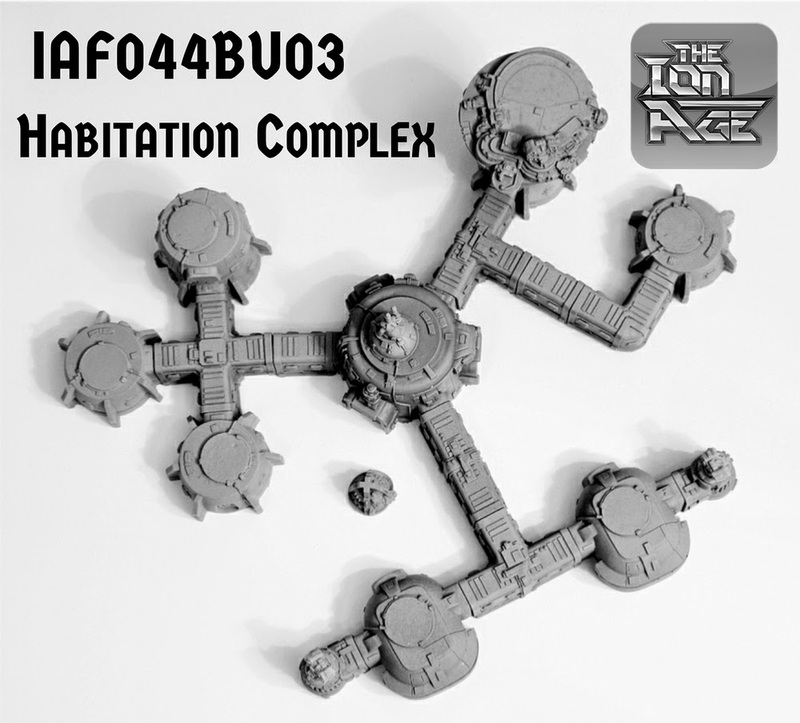 Firstly a reminder and a showcase of everything we have at The Ion Age as we have expanded so fast you might not know about our miniatures, terrain, vehicles and more. Secondly to update you all on Patrol Angis which was due to appear in April 2015. So please read on and click through on anything that takes your fancy. We begin with the Spring Offers, Free Monthly Miniature and Reward Points! Free Worldwide Shipping on all Orders over 10.00GBP Value! If you live in the UK or Europe, the USA or anywhere else on this blue marble we call home we are giving you free shipping worldwide on all orders over 10.00GBP in product value. This has been applied to our website so all you need to do is to add items to your cart as normal. We use airmail and courier services as required and you may still choose to add a 'signed for element' to your order. Orders of less than 10.00GBP will attract our normal flat 5.00GBP shipping charge worldwide. When you place an order of any size or value with us until 1st May we will automatically place a Goody Bag into your package to the value of approx 10% of the order. The items in this free bag will be related to what you have purchased but will be our choice. 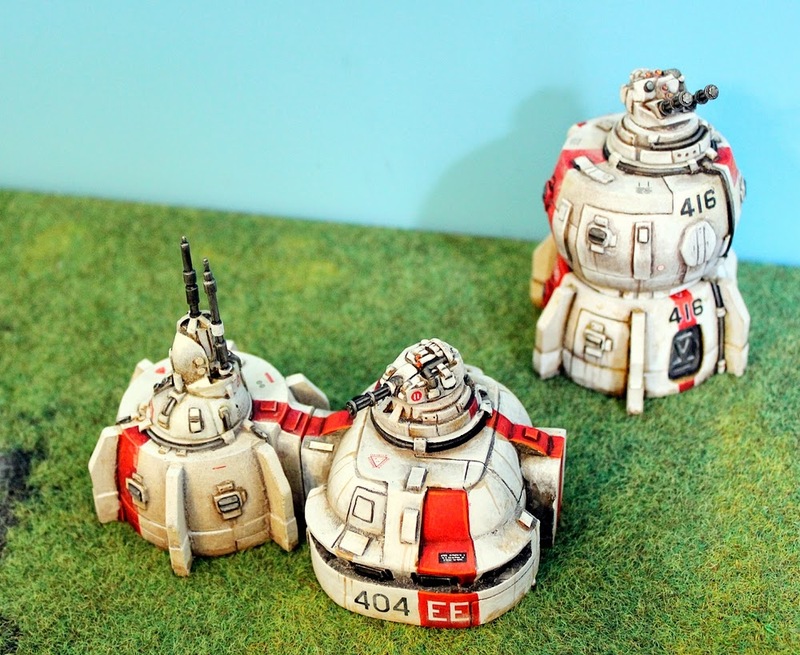 So if you order Hab Domes and Terrain you will get other relevant Terrain and an order for Prydian Army Battlesuits and Vehicles will gain you other Prydian troops and vehicles. A lovely surprise for you and great for your collections. And yes if you do order two IAF044BU03 Terrain Bundles we will send you another 20.00GBP plus in extras for them! Superb! 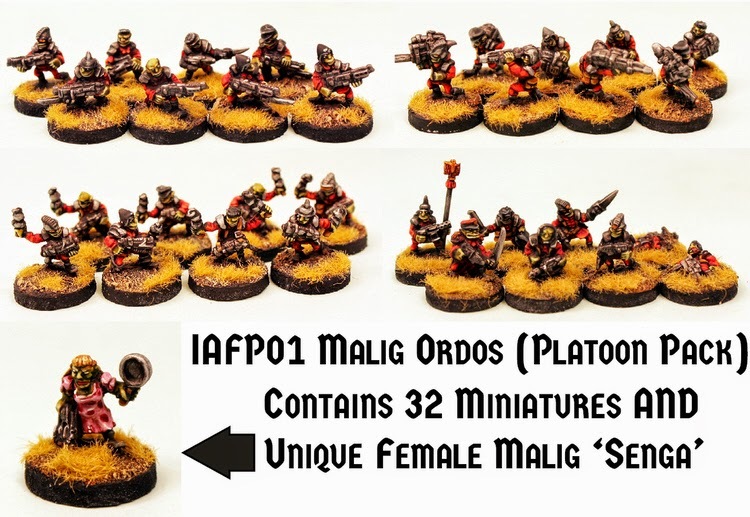 April 2015's free 15mm scale miniature for the month is automatically put into every order at the rate of one per order regardless of order value. It can also be bought in any amount on the monthly IMP page of the website for this month only too before being withdrawn. It will be one of the twelve in the 'Year Two Collection' on our second anniversary. After the Prydian Army the alien soldiers of the Shia Khan are the biggest part of our ranges and this character miniature is a first; a female officer in the legions. Legionaries are the prime foot soldiers of the Empire and this officer is bare headed while wearing a long cloak and carrying a Cupid Laser Pistol. She can be a lower or senior officer in any of your Legion forces. She stands 17mm tall and is a one piece white metal miniature. Withdrawn from free on May 1st 2015. Here at The Ion Age we operate customer accounts. We do this so that you may earn Reward Points on all of your orders. So remember that by placing an order with us you will sign up for an account with the website and that means you get Reward Points in all purchases and the free monthly miniature too. These points can be used any time to get free products and discounts on orders. Its a feature that our loyal customers really like and it gets them a lot of added value. 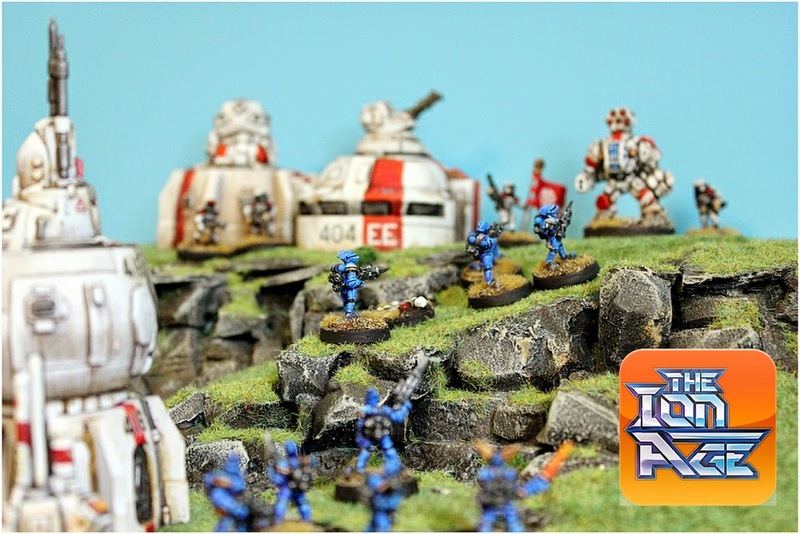 In the year and a half since we launched our space opera dream and in that time we have created hundreds of new miniatures and items for wargaming and while all of this has been detailed on our blog its well worth a short showcase by general types here. 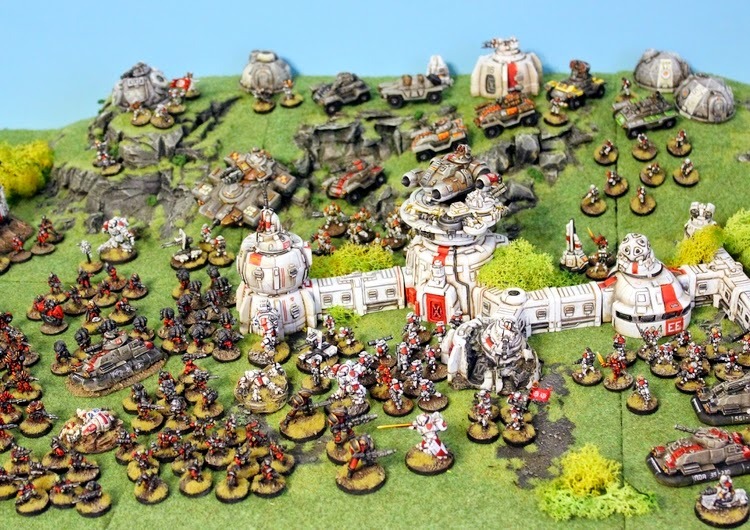 Click on the links to be taken to the parts of our website that interest you and would suit your wargame collection. Spring Offers apply to everything on the website! 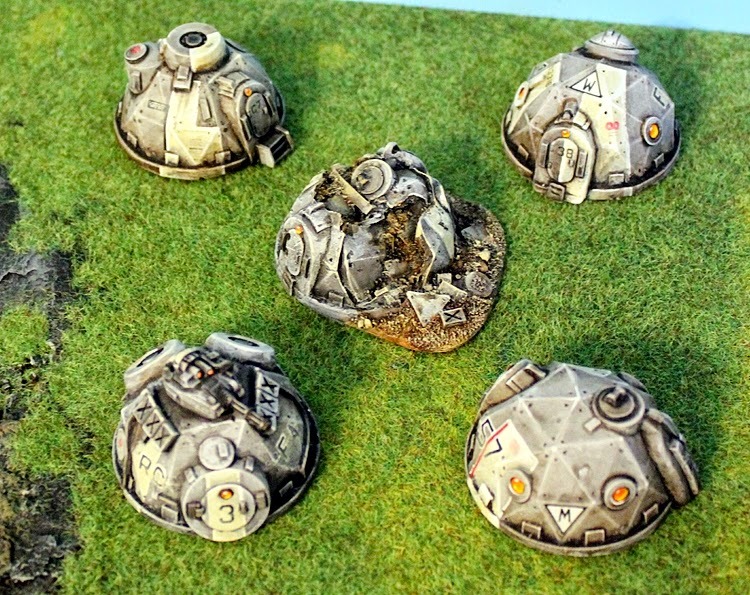 We have an extension range of structures and terrain in 15mm scale. From Hab Domes to Block Houses, Geo Shelters, Towers, Spires to Rocky Outcrops and our connector style and Outpost Bundle offers. Go HERE. 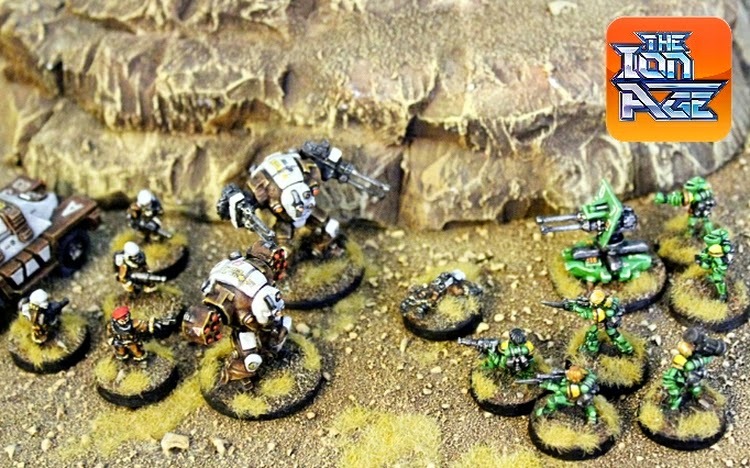 Power Armoured Knights, Muster Troopers, big Desteria Knights and Planetary Militia in packs, singles and platoons with unique free extra miniature. Characters and Droids and more. Portable Weapon Platforms and Gunners for them. Some of the finest Human soldiers in the scale. We also have conversion packs of weapons and bits. See all the packs HERE. The mighty Duxis Battlesuit and the Havelock Battlesuit too as well as a fleet of Adder Combat Cars and Combat Lifters. The Mullo Armoured Fighting Vehicle and its variants and the unique Corbal Deployable Hardpoint. Planetary Militia patrol cars and patrol carriers as well as a battlesuit too. The Skylark Patrol Flyer and smashed and crashed versions of all our vehicles and battlesuits for terrain and casualty markers. See the heavy armour HERE. Alien legions headed up by the Legionaries in all their variety with mighty Warlords backing them up and Nox power armoured troopers too. Verminous Malig space goblins along with conversion packs of weapons and bits and characters too. 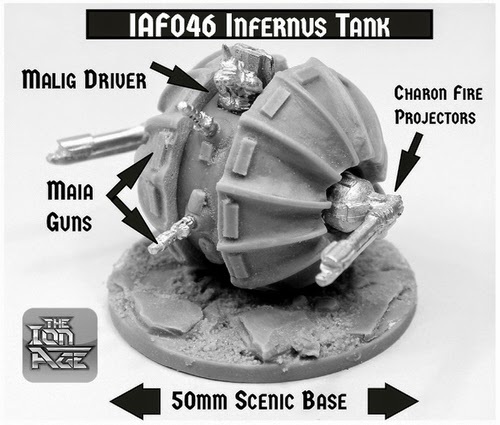 We have the Canthus Monocycle set and the crazy space goblin vehicle called the Infernus Ball Tank which as to be seen to be believed. Go HERE. We have a small range of limited edition packs of characters giving you commanders for your Retained Lances. 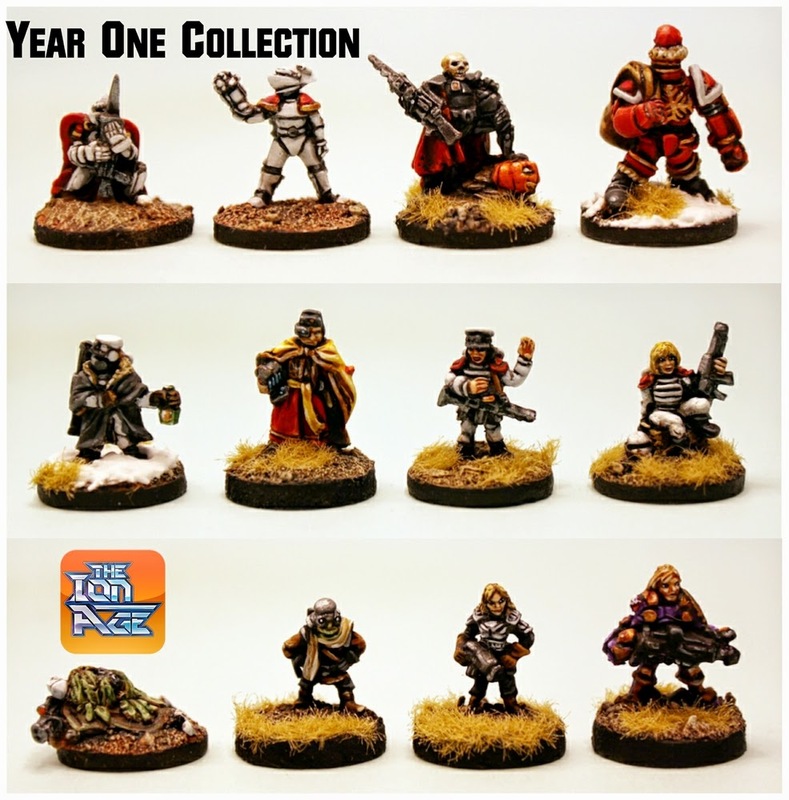 Also we have the Year One Collection where you can purchase a set or singles of the first twelve monthly free miniatures. Go HERE. We began as a 28mm scale white metal range and we have several hundred miniatures on our website in this scale. Retained Knights, Muster Troopers, Desteria Knights, Nobles and Errants as well as Space Goblins, Legionaries, Pioneers, Nox and Warlords. Human Betrayers and Conversion Packs too. Great prices and great variety. Go HERE for the Prydian Army, go HERE for the Shia Khan Empire and go HERE for our 28mm scale publications including MOTH and Firefight. Patrol Angis Delayed – An Update! 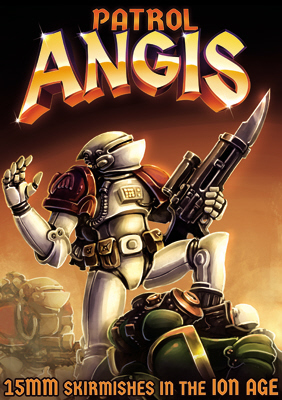 We began the month of April with the intent of releasing Patrol Angis as a book and a game starter set round about now but alas this will not happen. Due to circumstances beyond our control the book has been delayed by several weeks at the printers. While this has now been attended to it is too late for the offer in April to go ahead. We are saddened by this as it is an excellent book and I know hundreds of you who are super keen to get your copies. So we apologise for this. News will come in May about the book and the offer which we will still carry out. I have articles written about the book, example pages, free files, pictures of the starter set and more. You will see these in coming weeks. Email me with any questions you have or let me know in comments or social media. I leave you with the Patrol Angis Vignette miniature. It can be seen HERE. Enjoy the spring offers and more news and releases next month!